Saturday, September 5 at 12:30 pm on FOX 6. Sunday, September 6 at 8:00 am on WVTV TV-18. 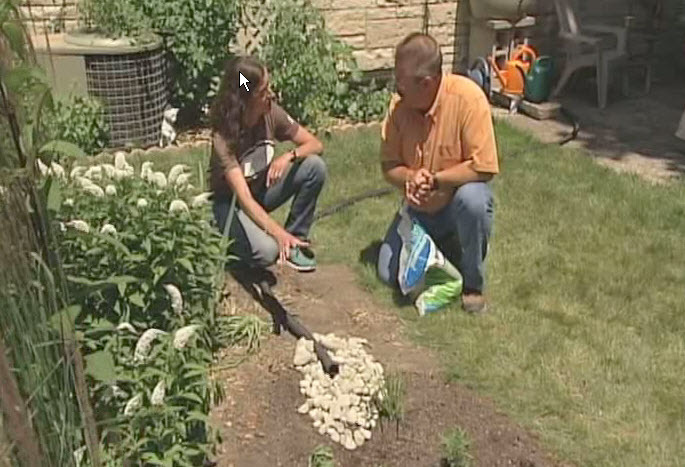 This week on Building Wisconsin, host Stuart Keith and guest Karen Sands from the Milwaukee Metropolitan Sewerage District show how to build a rain garden for sump pump discharge. This project also features Mid City Plumbing & Heating disconnecting a pre-1954 home’s drain tile system which was feeding rainwater into the sewer and directing that water into a sump pit and pumping it out into the yard.